Case worker and court advocate Lisa Rahiem, shared with us what a typical day in her life was like when she was a domestic violence advocate for Thrive SC, a transitional housing nonprofit for survivors in South Carolina, looks like. She is the former assistant director of CASA, or Citizens Against Spouse Abuse, and also currently works with Project Unity. 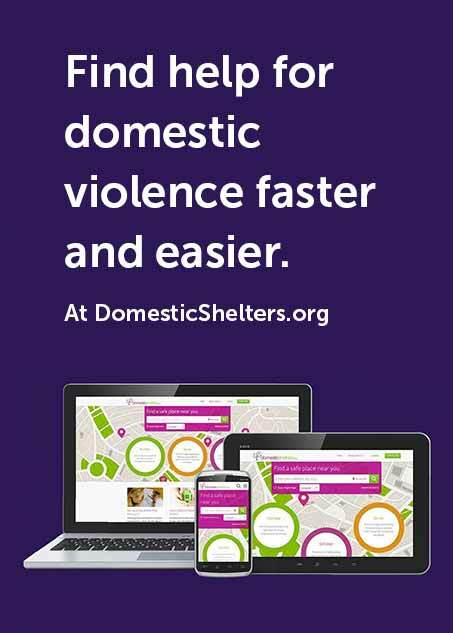 DomesticShelters: What led you to become a victim advocate? Lisa: I became an advocate after my nephew was killed when he was in college. He was three months shy of graduating and being commissioned as an officer in the Army. He went out to a bar and a guy was harassing a woman in his group and my nephew told him to leave her alone. There was a shooting and he along with another college student were killed. I majored in criminal justice. I wanted to make sure victims know their rights. DS: What time does your day typically start? Lisa: I’m up at 6:30. I let my dogs, Madison and Beaufort, out and begin to strategize what my day is going to be like and what I should wear. Some days I know I’m just going to be moving furniture. And then there are days when I’m going to court with a client. Even when I’m dressed up, I keep a pair of tennis shoes and sweatpants in the car because my day changes. I check on my clients in transitional housing, if time permits, before making it into the office by about 8:30. DS: How many survivors do you talk to on a daily basis? Are there constantly new survivors coming in? Lisa: I probably speak to five to six people on a daily basis—these are my ongoing clients. And then, there are about eight to nine new crisis calls every day. I spend a lot of my day on the phone. DS: What kinds of things do you help survivors with? Lisa: I help move them in and out of transitional housing. I help them get orders of protection, safety plan, prepare for a divorce or a child custody case, and go to court with them for support. Whenever you’re talking to an attorney, it’s good to have more than one person present. I go to criminal hearings as well. A lot of times clients want someone with them to keep them calm and help them prepare for what’s going to happen if they have to face a judge. DS: What time do you get home? Does work follow you home? Lisa: Many days, 6 or 7 p.m. And yes … I have three cell phones! The luxury of nowadays is we can give out our [work] cell phone numbers to clients, whereas, 16 years ago, we didn’t give clients our personal information. Now, I may get a call in the middle of the night and develop a safety plan for a survivor right then. DS: How do you unwind? Lisa: I’m a good ‘ol country girl. I’ve already started planting my flowers. I sit out on my back porch and look at my flowers and these two little furry things … since my kids have left home, they’ve saved me. I live with my friend Butch and I can talk to him and he gets it. If I shed a tear, he doesn’t look at me like I’m losing my mind. I love seeing my big babies [her two grown children] as much I can. I learned a long time ago you have to take care of yourself if you’re going to work with clients. DS: What’s the hardest part of your job? I wish there was greater change in our judicial process. We’re going backward. There were more services, more funding, more resources, more training for advocates 10 years ago. The thing is, when I speak to the younger advocates, they’re asking for training but the funding’s not available or organizations are so short-staffed the advocates aren’t able to go to trainings. Not seeing change is the most difficult part. DS: What’s the best part of your job? Lisa: Being there to listen. And, when it comes together. When we move a client into a new place, that’s the best. I still have my pick-up truck I purchased in 2006. I call him Tom-Tom. He has moved so much furniture it’s pathetic. When we’re moving survivors into a new life, an abuse-free home—and they can have that peace—that’s a great feeling. That’s when I can go home and unwind with that glass of wine. What’s even better is when I run into a client years later and they’re doing great or I get the update that the person is still out of that abusive home, and that the kids are doing well.